Covering the state of Virginia, Wilson & Hajek, a personal injury law firm, is centrally located in Charlottesville, Virginia. Francis Hajek is an experienced Virginia personal injury attorney and lawyer who provides aggressive representation and personal service to his clients who have suffered injuries. 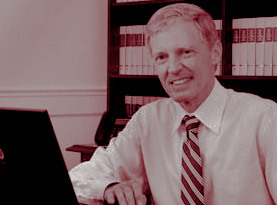 Since 2007, he has been listed in Best Lawyers in America. This blog is designed for general information only. The information presented at this site should not be construed to be formal legal advice nor the formation of a lawyer/client relationship. The amount of verdicts for legal claims is unique to each claim and there are no guarantees but certainly the verdicts personally obtained by a lawyer are an indication of his experience and abilities. You will receive personal service from an attorney using modern technology. We will work together to recover the maximum amount for your injury case. Call us at our Charlottesville office (434) 202-8181 to discuss, at no charge, how our personal service and modern technology can assist you.